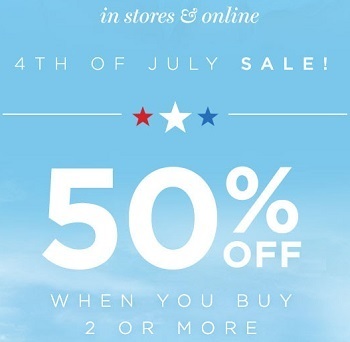 Don't miss 4th of July Sale at U.S. PacSun stores and PacSun online. Get 50% discount when you buy 2 or more items. Offer is valid on selected styles. Source of the information is PacSun. Offer is time limited. For more details see your nearest U.S. PacSun store location or PacSun online.